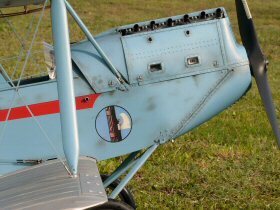 The UK's very best supplier for DECALS & PAINT MASKS for scale model builders! Digitally cut from a special 80µ low tack, low residue vinyl. Paint Masks make painting your insignia and other markings an extremely easy procedure. They can be used to produce single or multicoloured markings using a simple but effective alignment procedure. Click here for more details. Also known as Dry Transfers they are used in the same way as the old Letraset style transfers and require no special processing before application. As the name suggests, you do not need water or any other solvent to apply these decals as they literally transfer from the backing paper to the surface by gently rubbing to activate the pressure sensitive adhesive. 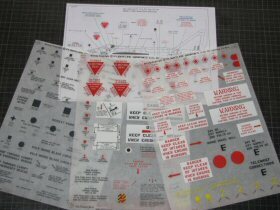 Dry transfers add fine detail and can contain many decals in a combination of colours on a single sheet . Click here for more details. 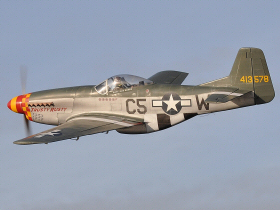 Yes we can do full size aircraft - they are just big models! We can help with microlight aircraft all the way through to Vulcans so most other aircraft will fit somewhere in-between. 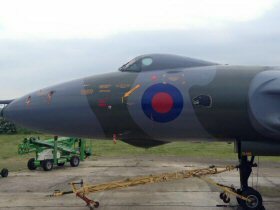 My biggest project to date has been Avro Vulcan XL426 based at Southend Airport which has been completely repainted by the Vulcan restoration trust who provided detailed information of the original original stencils which have been reproduced with all new fonts that had to be created from reference pictures in archives. Digital Print is one of the cheapest and most convenient ways of adding artwork to mode aircraft. While not very popular with quality scale builders, sport scale and stand off scale prove very popular. They can also be use for Club membership stickers, Markings for electric models, and car window stickers including static cling for temporary markings.